What would summer be without dandelions? Some people might think of these sunny flowers only as a weed, but dandelions have long been valued for their many nutritious and medicinal qualities. 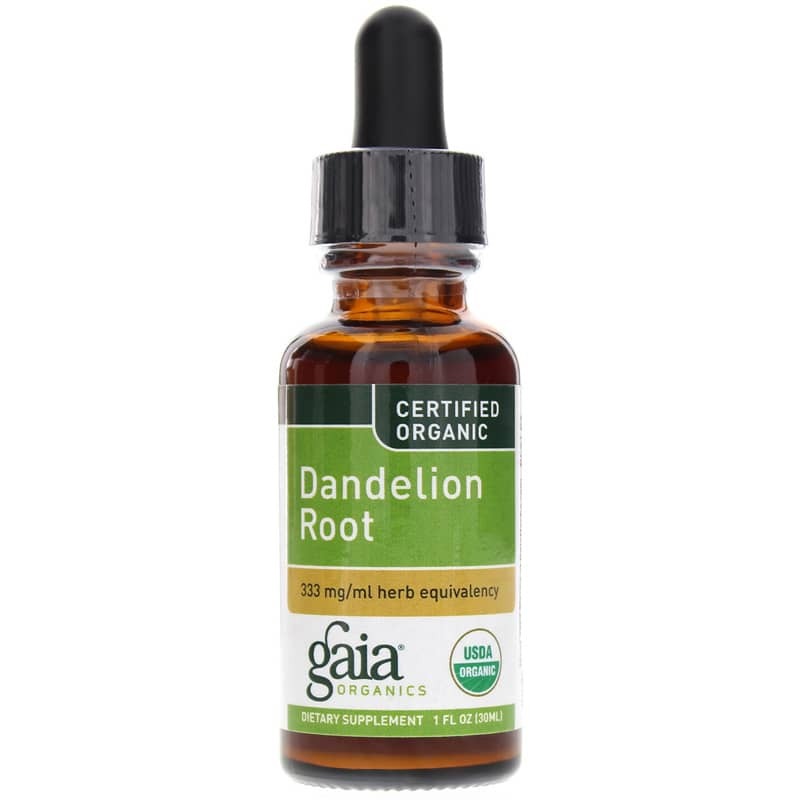 Certified Organic Dandelion Root from Gaia Herbs is a liquid herbal extract that may help support liver and gallbladder function, stimulate digestion and aid normal detoxification. In most regions dandelions grow bountifully and thrive even in poor, neglected soil. These plants with the pointed leaves and fuzzy heads are no weaklings, and may offer a variety of health benefits. Dandelion (taraxacum officinale) root has traditionally been used to support the liver and gallbladder, thanks in part to its bitter principles, which promote bile flow. It is also rich in vitamins A, B-complex, C & D and the minerals iron, zinc and potassium. Once you find out how beneficial dandelions can be for our health, you might look at the ones in your lawn with a bit more appreciation. 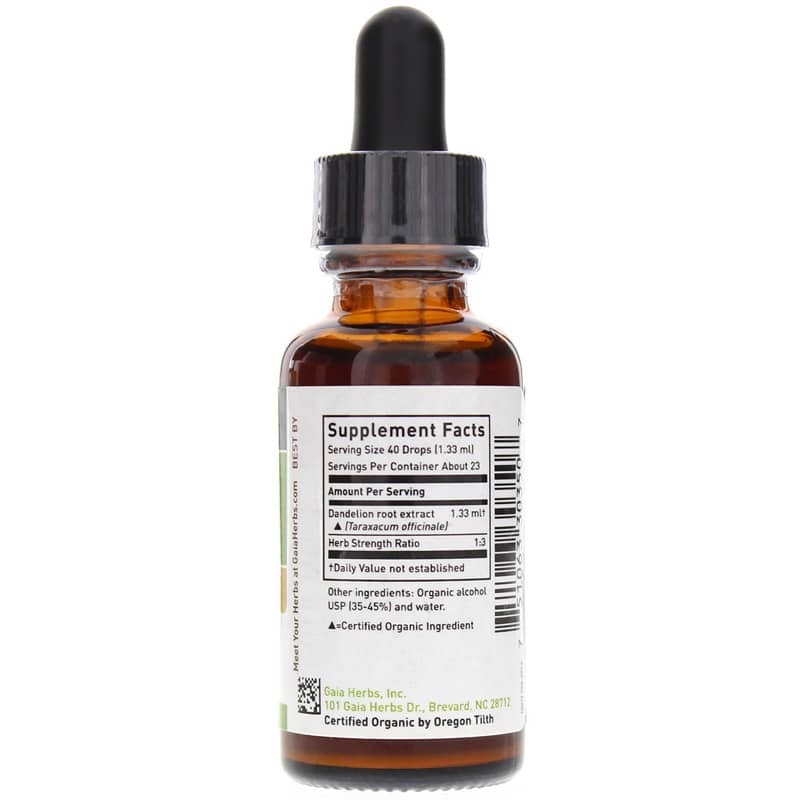 Just a 30-40 drops of this certified organic herbal extract in a small glass of water can help relieve occasional indigestion and support normal liver function. Order yours now! Other Ingredients: organic alcohol USP (35-45%) and water. 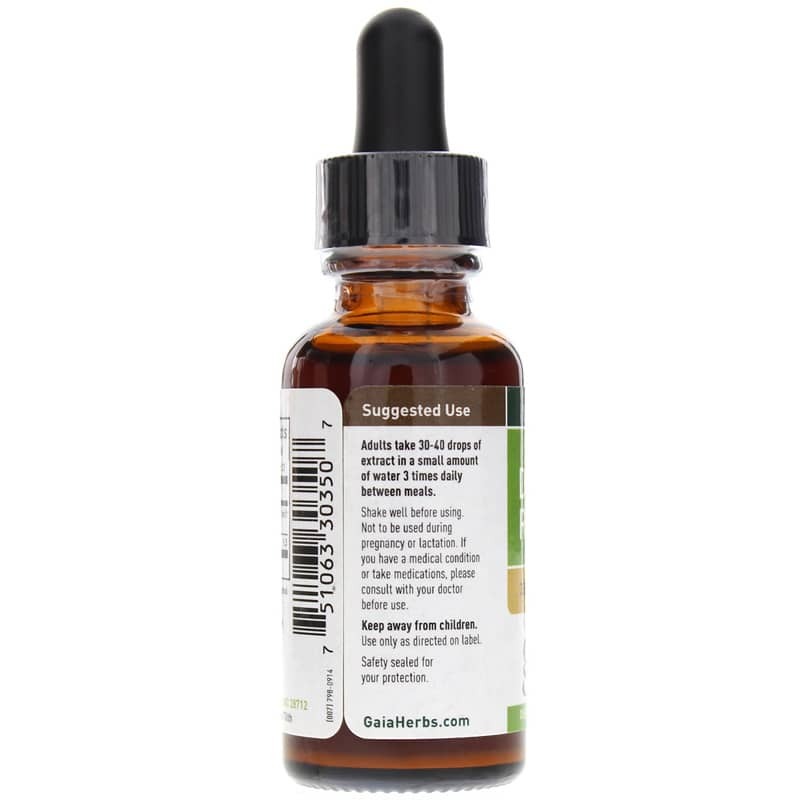 Adults: Take 30-40 drops of extract in a small amount of water 3 times daily between meals. Shake well before using. Gaia Organics is known from very high quality products. I am not disappointed. Recommended by holistic doctor.